When we press on in faith, even after finishing a great task or work, we will be blessed with miracles and success. That is ever present in missionary work. Often times we have hard days, or hard weeks, or even hard months. But when we keep pressing forward, going a little bit further, taking that very last step that we can take, that is when the miracles and blessings come. Anyways, after the conference, which was absolutely amazing, we had a great lunch, and a big gift exchange. We did a white elephant gift exchange between all the missionaries, and Presidente Perez had a gift from him and Hna Perez for everybody, as well. It was a great experience.Wednesday we got everything ready here in Santa Fe for the conference, decorating and everything, and then Thursday we had the conference. In addition to all the previously mentioned, Thursday we also had the privelege to hear from Elder Levrino along with his wife. He talked to us about the importance of being 100% obedient, even down to the tiniest things, because that is where our conversion really begins to show. 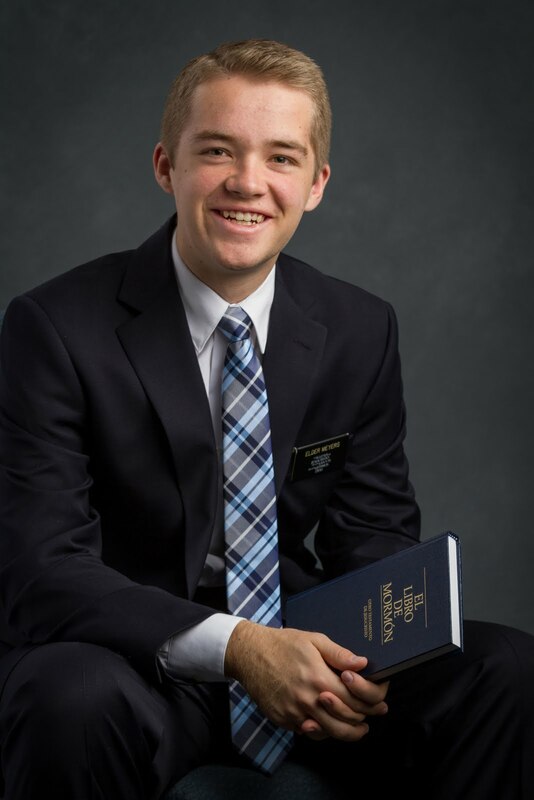 Even little things, like calling an Elder “Elder Johnson” instead of just “Johnson”. He also talked to us about the importance of talking with EVERYBODY. It was really inspiring. That night, after the conference, we were cleaning everything up, but there were a ton of missionaries in the office, because they were waiting for interviews with Presidente. At about 8:15, I just started to feel anxious, like I needed to get out. I just wanted to get out of the office and work in the streets and be a missionary. Elder Maynard was right by me, so I said, “Hey, Elder Maynard, I just need to get out of here.” He looked at me and said, “Let’s go.” We went into the storage room, grabbed some Book of Mormons and some pamphlets, and then said a prayer to Heavenly Father asking Him to help us find someone who was willing to listen to the gospel. We only had about 40 minutes, but we were determined to do it. We decided we wanted to apply better what Elder Levrino had taught us, so we just started talking with people in the streets as we went. After a couple of contacts, we didn’t have very much time left. We started walking down a street, and Elder Maynard saw a couple sitting outside their house, and said, Let’s talk to them. So we went and talked to them. They didn’t look like the friendliest people, or the type that we wanted to contact. But as we started talking to them, their barriers started to come down, and they started to really listen to us. And right there in the street, we taught them all of the first lesson, and gave them a Book of Mormon, committed them to read it, and set a date to come back next week. Once we finished, we had run out of time, and had to go back to the office, but it was the coolest thing. The last people we contacted, after talking to various people who rejected us, listened. As we are diligent in our duties and in following the commandments, enduring to the end, I know that blessings come. I hope you have a wonderful, Christ filled Christmas! Merry Christmas to all! Getting ready for Christmas conferences on Monday! Me with Elder Romo, another new missionary. They're both awesome! Me with Elder Marquez and Elder Gomez! Decorations for the Santa Fe Christmas conference! We did a huge stake-wide service project this morning cleaning up the environment around the highway. I finally realized one of my dreams of being a Mormon Helping Hand! :) Very hot, very long, and lots of garbage, but a great experience.